Grover David Powell was born October 10th 1940 in Sayre, Pennsylvania. 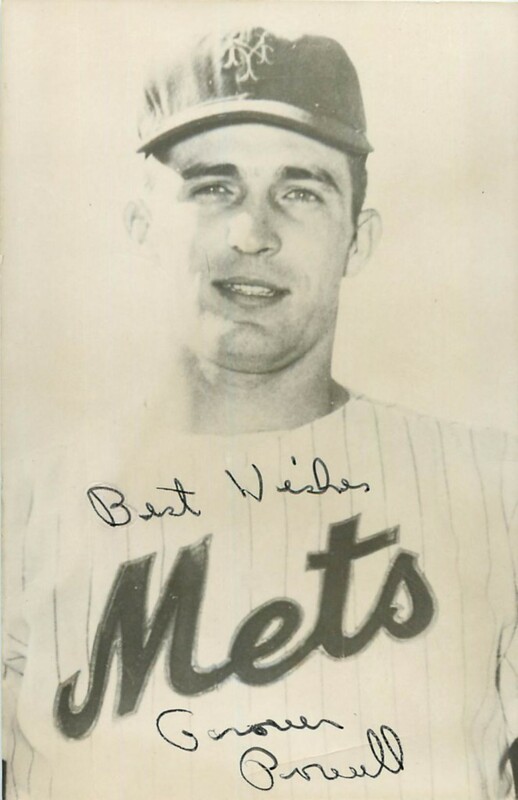 The five foot ten left handed pitcher attended the University of Pennsylvania getting signed by the New York Mets in 1962. 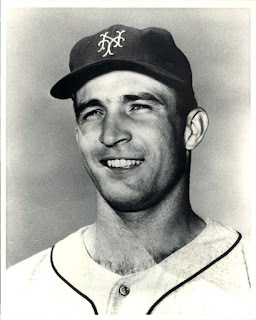 Powell went 2-6 in the New York Penn League in 1962 getting pushed up to AAA Syracuse right away. There he also went 2-6 with a 5.9 ERA. In 1963 he started out in the Carolina League at A Ball Raleigh getting near .500 at 5-6 with a solid 3.07 ERA. It was all the Mets needed to see, giving him a chance on a bad ball club with a poor staff. Powell debuted on July 13th pitching one inning of relief in a 11-2 loss to the Los Angeles Dodgers at the Polo Grounds. He would make nine relief appearances & pitch well enough to earn a start. On August 20th he started the first game of a double header in Philadelphia and surprised everyone with an incredible four hit shutout, striking out six. He was given another start on August 27th in Pittsburgh, pitching five shutout innings matching frames with the Pirates Bob Friend. His career turned round when he was hit in the face with a line drive off the bat of future Met; Donn Clendenon. He was relieved by Galen Cisco who took the heartbreaking 2-1 loss. On September 5th Powell was knocked out of the game in the 3rd inning as the Cardinals scored four runs on him, he was credited with a 9-0 loss. Powell made twenty appearances on the year going 1-1 with a 2.72 ERA striking out 39 batters in 49 innings pitched. He had the pleasure of wearing the uniform number 41, four years before Tom Seaver ended anyone else's chance of ever using it. 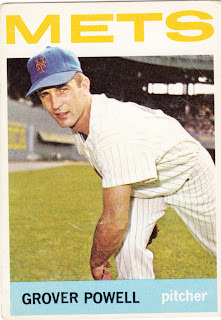 He is forever immortalized on a 1964 Topps baseball card with the Mets. Powell suffered through injuries and pitched sparingly over the next three years in the minor leagues. He pitched in the minors through 1970 going 30-47 in 172 games. Retirement: In 1966 he returned to Penn. University & got a degree in economics. At the young of age just 44 he passed away after a battle with leukemia in 1985 at Raleigh North Carolina.